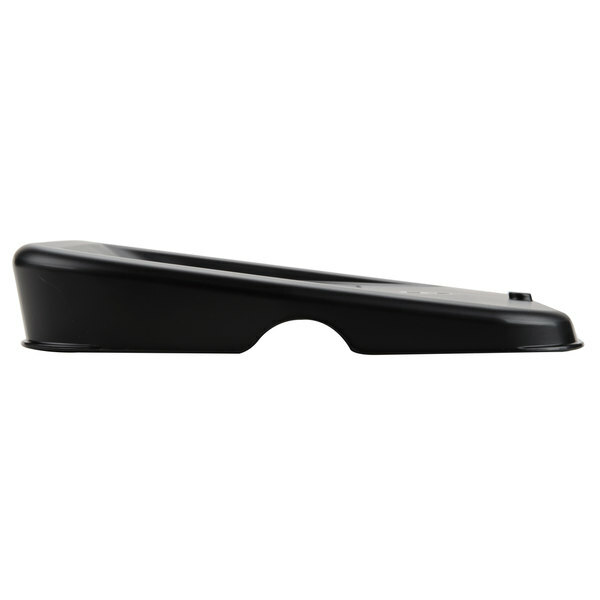 Make sure your ice is secure and safe with the Rubbermaid FG9F7300BLA ProServe ice tote lid! 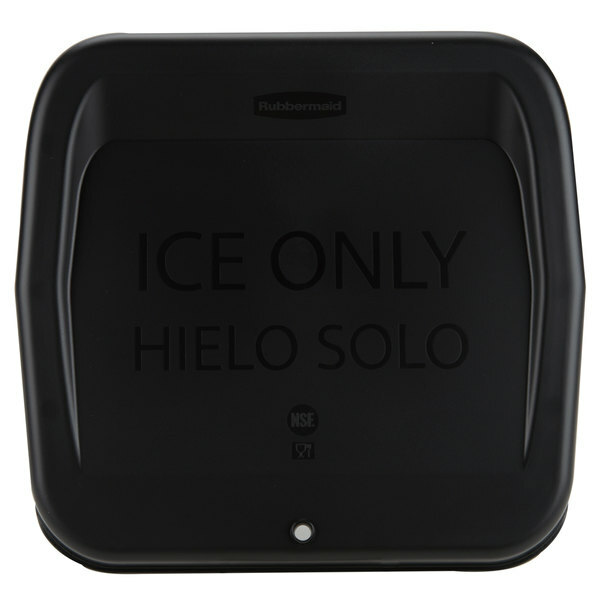 Designed to protect your ice from contaminants and germs, this lid fits tightly on top of Rubbermaid FG9F5300TBLUE and FG9F5400TBLUE ice totes (sold separately) to ensure a safe trip for your ice. 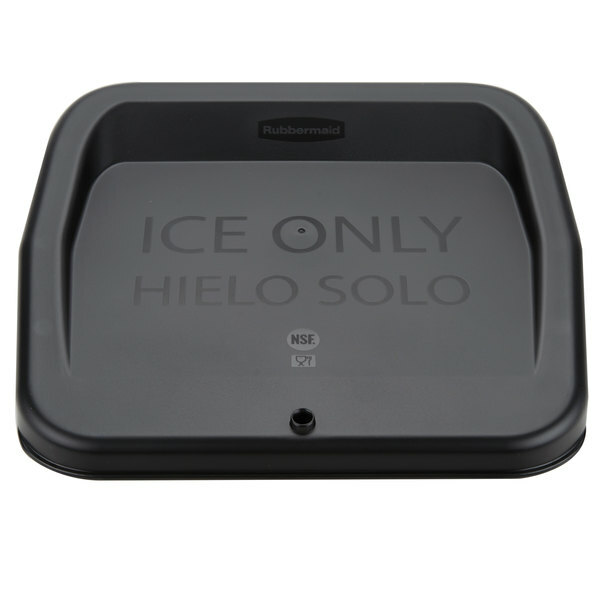 Whether you need ice for an outdoor concession stand at the local soccer field, or if you are a caterer with an outdoor event, this lid is sure to keep your ice clean, cool, and ready for action. 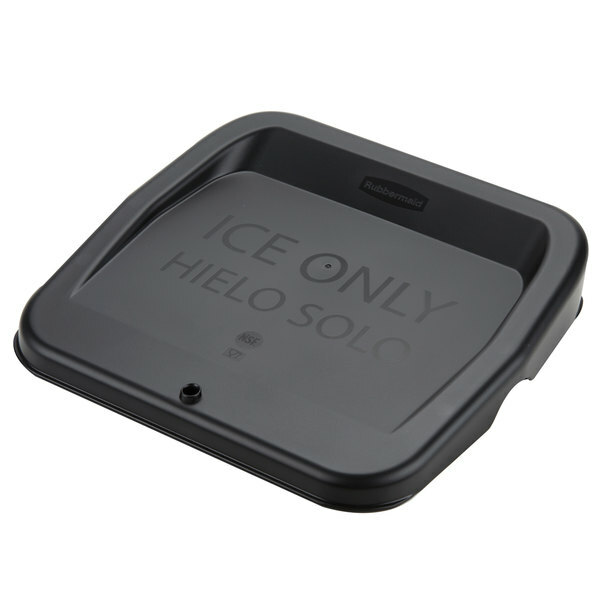 Each lid is made of durable polycarbonate with the words "Ice Only" stamped on the outside. 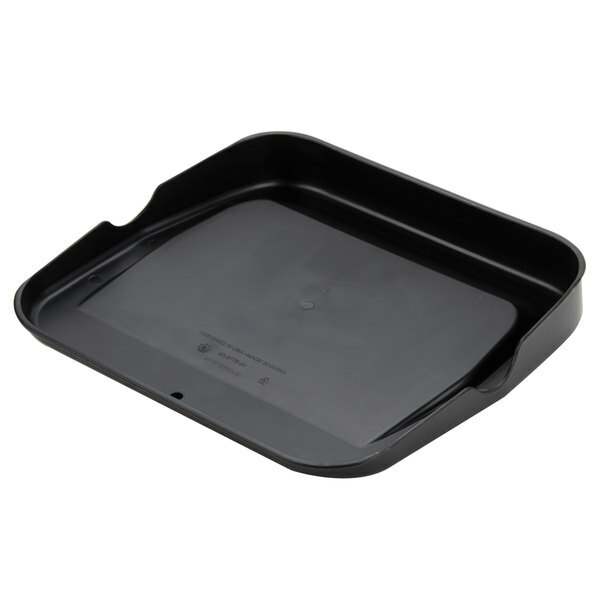 Made only for transporting ice, this lid works in conjunction with your ice tote to help prevent cross-contamination. 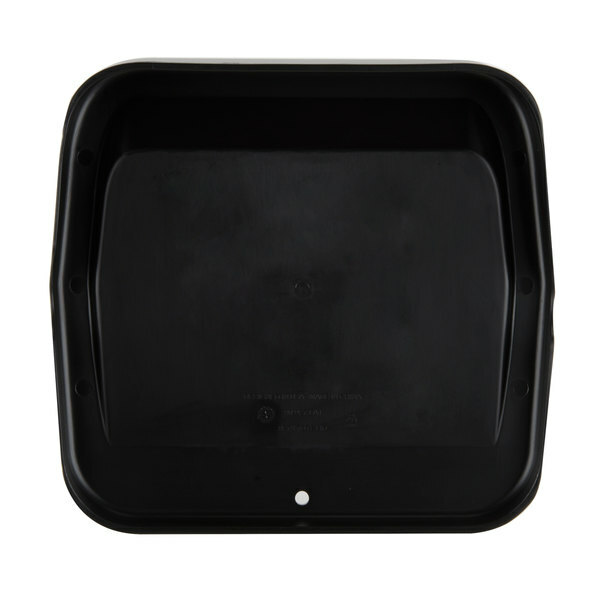 Perfect for restaurants with outdoor bars, concession stands, cafes, and food trucks, this snap-on lid is an affordable accessory that can make a huge difference in the sanitation and presentation of your ice! Rubbermaid FG9F5000TBLUE ProServe Ice Scoop 2.3 Qt. This lid is a perfect match for the Rubbermaid ice bucket! With "ice only" printed on the lid no employee will forget what this lid goes on!! 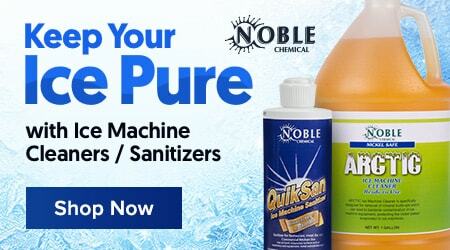 Good for keeping foreign objects out of ice buckets!